Like many others, I remember September 11, 2001 quite vividly -the day the world changed. It was an ordinary day like any other while we were blissfully unaware of what was about to happen. Flipping through the channels in the evening, I saw a woman crying on CNN in a way that made me pause and concentrate. 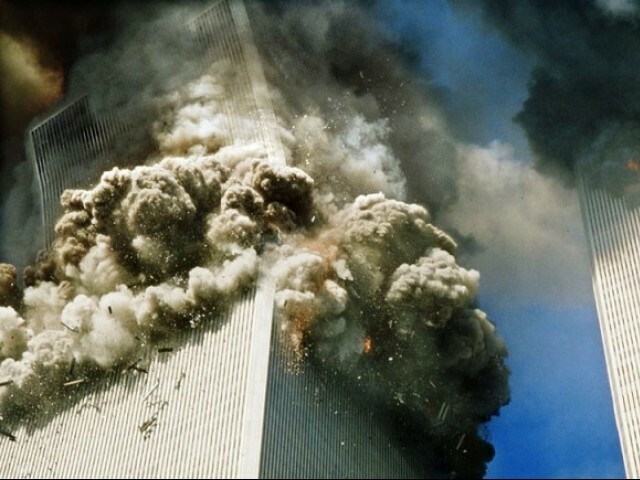 Then I watched the unbelievable, seemingly unreal, video footage of the planes crashing into the Twin Towers. Back then, I did not know much about the United States of America (except for what I heard from my relatives living there) and I understood nothing about the political significance of such an event. I just knew that an extremely shocking incident had taken place and innocent people had been killed. It was hard to believe that any human being could do such a thing on purpose. The tragic event, amongst other things, sparked a lot of debate. In the last 9 years, there have been many debates on the subject: Who was responsible? Why did this happen? What does this mean for the future of the world? Is the War on Terror justified? 9/11 has become the subject of books, articles, talk shows, interviews, films, blog posts. I remember initially engaging in numerous debates on international websites, defending Islam, telling people that true Muslims are not terrorists and all Muslims are not fundamentalists. I remember arguing with some people in Karachi who failed to recognize the inhumanity behind the act. But during these debates and while researching on the subject, I realized that religion was simply being used for political ends. Given the way events have unfolded since then, and the increase in terrorist activities, I wonder why many people still fail to see this. The terrorists behind the 9/11 attacks had a political agenda and with the US response to the attacks, they succeeded. The terrorist attacks on the World Trade Center and other incidents of terrorism in the rest of the world, carried out in the name of Islam, not only hurt innocent non-Muslims but also innocent Muslims, who have continued to suffer. It became an issue only once it was recognized for its political potential — when those who stood to gain politically from its exploitation seized upon it and inflated it beyond all reason. Meanwhile, a pastor in Florida plans to memorialize the Sept. 11 attacks with a bonfire of Holy Qurans. This has really nothing to do with Christianity. These are neither the first nor the last problems to arise after 9/11. Terrorists and extremists have their own selfish interests (political and economic gains) at heart. They do not belong to any religion or community. People in general, be they Muslims, Christians, Hindus, Jews, Americans or Pakistanis need to realize that. Otherwise they will continue to debate over smaller issues, make fun of each other’s religion and fail to put an end to the real problem, that is, terrorism. These are handful of people who are hellbent to destroy world peace. I bought a new white Maruti car on 12th Nov 2000 and a bank robbery was committed the next day in which white Maruti car was used. I was checked at various police barrier for the next 10 days. I know why and hence cooperated or had no choice but to cooperate. Lovely Article with good substance. I cannot agree more with you. I have been saying this for a long time that Osama & Talibans have damaged Islam in so many ways that it had not been damaged since its birth. Tehreem, whether we should have backed the US or not is a huge and separate debate which I will not get into here. The point I am trying to make is that people still look at many issues pertaining to the Taliban, or other issues like the Mosque at Ground Zero, in a religious context, when in fact all of it is political. Can any moderate and right thinking Muslim here, care answer few simple questions? Why is it that, Islam as a religion of peace, is so susceptible to the misinterpretations that produce suicide bombers? You claim that there is no place for clergy in Islam, but in reality, why, mullahs appear to have an iron grip over muslim societies across the world? Please let others comment too. Try to be patient. It seems a bit jumpy on your part to do the comment part this early. Why don’t you gather all your data and write later and let us read what others have to say! sir im sure they checked you at various police barriers, but they didnt take your car and burn it. they didnt go to your house and kill your family. a line has to be drawn somewhere mr. ashutosh, a line that could actually separate the terrorists from the counter terrorists, sadly that line is never drawn and at the end the victor defines whatever is right or wrong. @ Tehreem & Hunain, Thanks for reading and your comments. @ Abid, 9/11 has had a huge impact, like any big historical event (or disaster), not only on the people of one country but of several. It has affected the lives of many Muslims, creating hurdles in their daily lives. The point of the article is, irrespective of what some of our govt officials or authority figures (like pastors) or extremists may say or do, we (the people) should see things in a political light rather than in a religious (emotional) context and not lend our support to such people who claim to be proponents of our religion. I am sorry I lack the of grey matter. Do you mean to say, that if the police stops me to check my car (IN one of the several times) then I should explain the police that there are numerous bank robberies , therefore they should check all the cars and not victimizing me based on just one robbery! Well the to a great extend the Muslims around the world over did not reaction to the terror attacks. I wish the Indonesians would have call the attacker on the WTC as cowards! Many treat them as heroes. Many governments and individuals harbor them, nurture them, train them, provide emotional and mental strength and support of all kinds. It is all a part of Global Conspiracy. The conspirators strategically play with the emotions of innocent and illiterate public (i refer illiterate to those who are unaware of the fact that they are being used for a global political agenda). It is a fact that there are two countries that came into being on religious ideology i.e. Pakistan (Muslim ideology) and Israel(Jewish Ideology). In both the regions, conspirators are playing tactics on religious values, to keep the world engage in religious arguments and let them fight to save their ideology, irrespective of realizing the fact that both ideologies does not exist in its true form but these are more manipulated versions of these ideologies. The conspirators efficiently use the Media globally to project those things which stimulates hatred and violence. As i observe that: one of their strategy is to demoralize citizens of our enriched country (enriched with talents and natural resources) through tactics (like special and thorough check for green passport holders at Airports) and make the literate class to migrate and leave their enriched country and serve at cheaper rates to the countries where their local labor force is expensive. This is done so that the enriched country’s left over valuable resources can easily be acquired by fooling the left over citizens (people that are unable to migrate due to incompetency in driving economy). I am somewhat sure that the way this BONFIRE is projected globally.. these conspirators want to hide some big news behind this issue.. they might be making some big changes to their global policy that they don’t want in media attention. Just think that: Though the ownership of Media organizations are different and separate but the GLOBAL NEWS-FEED services (Reuters, AFP etc.) are few that could easily be controlled. The news that these conspirators want to project globally might be dictated from these few News-feed sources.. The News channels have just 24 hours of programing but there are millions of news everyday how could they accommodate or decides/filters news that want to be projected. I just read your article. In most articles on 9/11 the focus is on the incident and the terrorist/religious/political/social fall out from this. @ Ashutosh, my response was to your point: “All Muslims may not be terrorists but almost all terrorists are Muslims”… that can be refuted as easily as by searching for terrorist organizations on Wikipedia. There are many terrorists all over the world and not all of them are (so-called) Muslims. @ Arif, I am not sure if that was a conspiracy but media is often biased and does have a very strong role to play in shaping perceptions; determining what issue should be given more importance.